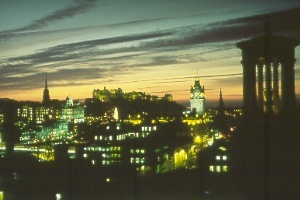 The first ICTE Conference held outside of North America convened in 1988 in Edinburgh, Scotland's capital city, on the campus of the University of Edinburgh, in a successful and memorable event that was the springboard for expansion of the scope of the annual ICTE conference to an international perspective. In 1999, the sixteenth ICTE Conference returns to Edinburgh and to the University in what is certain to be another landmark event. Technology is advancing with breathtaking speed. In Europe as in North America, innovations in applications of technology to learning are being developed at an accelerating pace. New and exciting insights into successfully applying the new technology in the classroom are resulting from from this wide range of innovative projects. The annual ICTE Conference focuses strongly on these latest developments, and related applications of technology to teaching and learning. The Conference is attended by participants from the worldwide education community, representing leading educators, education researchers, administrators, and education-related technology companies engaged in education. Plan Now To Attend ICTE Edinburgh 1999! Take advantage of this unique worldwide education forum. At ICTE Edinburgh 1999, as in recent ICTE Conferences, you can anticipate participating in a unique mix of technology-using educators from the Americas, Europe, Asia, Africa, and the Middle East -- exchanging ideas and views and experiences in this rapidly changing field. Attend ICTE Edinburgh 1999 and get up-to-date on educational technology and its uses worldwide. Catch up on the latest developments and thinking about computers and related technologies in education -- and leave with new ideas and new inspiration for your education endeavors. 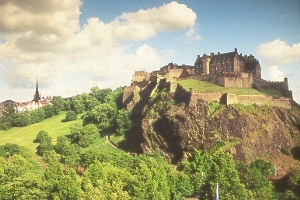 The setting for ICTE Edinburgh is in beautiful, historic Edinburgh, the capital city of Scotland. The Conference will be held on the campus of Edinburgh University, famous for its programs in economics, medicine, and technology. Come a day or two early, or plan to stay a few days after the Conference, and see Edinburgh. Visit historic Edinburgh Castle, and Holyrood Palace -- famous as a royal residence for kings and queens for centuries, including Mary, Queen of Scots, and still the official residence for Her Royal Majesty Queen Elizabeth when in Edinburgh. Edinburgh is a city of arts and sciences, home to theatres and art collections, museums and institutions of international significance. Bring your family -- they'll find plenty to see and do while in Edinburgh. Stroll down the ancient Royal Mile, which links Edinburgh Castle and Holyrood Palace, a street lined with historic buildings, shops, and restaurants. Tour museums and art galleries. Visit Edinburgh Castle and see the Scottish crown jewels -- the famous Crown and Sceptre of Scotland -- as well as the Stone of Scone, or Stone of Destiny, until recently kept in London's Westminster Abbey. Tour the surrounding countryside before or after the Conference, and take a train or coach tour through the Scottish Highlands. Plan now to attend ICTE Edinburgh 1999, get up-to-date on the latest in educational technology, and take advantage of this opportunity to visit this beautiful and historic city. It will be an experience you won't soon forget!